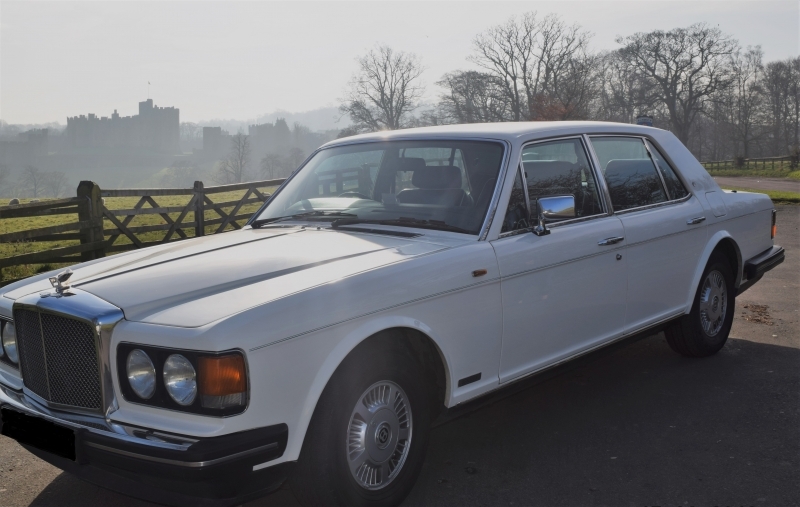 Our Bentley Mulsanne Eight is one mode that brought a performance car to the luxury market, the name is derived from the "Mulsanne Straight" which was the fastest part on the Le Mans racing circuit. 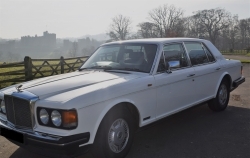 Our car is powered by a traditional Rolls Royce 6.75 litre V8 engine with fuel injection with a three speed automatic gearbox. It is not driven to its full potential when in use transporting our lovely brides but it offers classic comfort and elegance on the road. 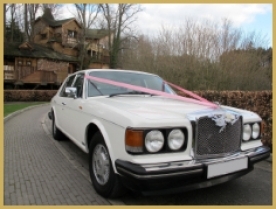 Whilst similar in appearance and body shape to a Rolls Royce the Bentley has different suspension and a sportier exhaust note but it still retains the luxury car feel to get you to the ceremony in style and comfort. 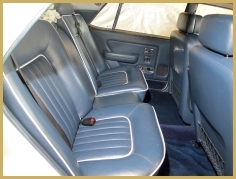 Our car has bodywork finished in porcelain white with blue leather seats and walnut interior finish to add to the luxury feel of the car. 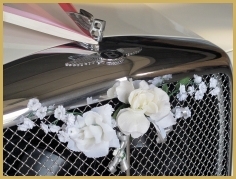 It glides along with ease and attracts attention from those that appreciate a nice car and lovely bride. It can be booked on its own or with our other cars to accommodate all your principal guests. 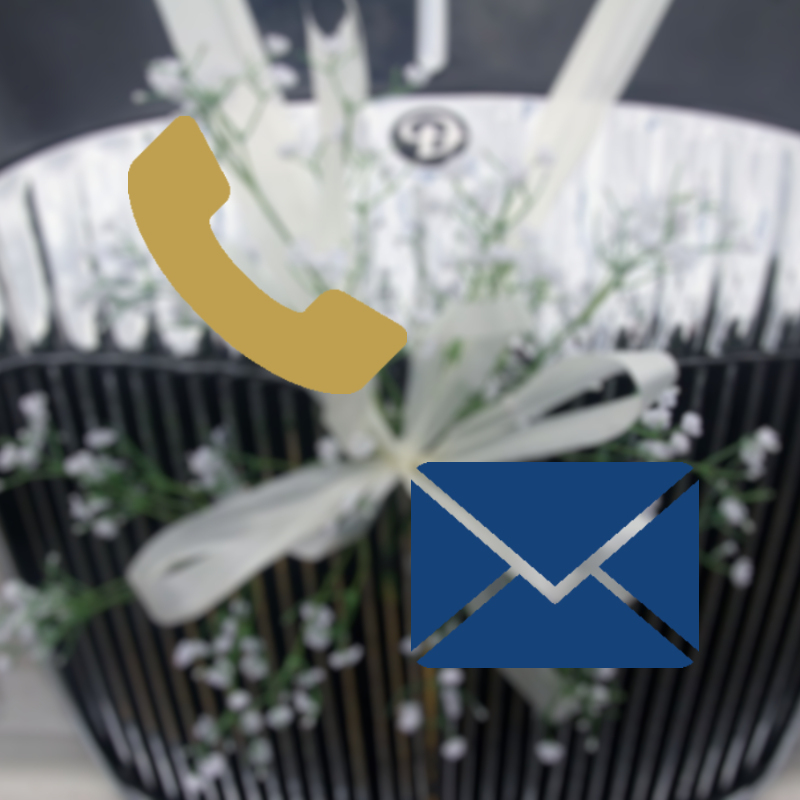 Get in touch with us today to enquire about booking our Bentley for your special day.